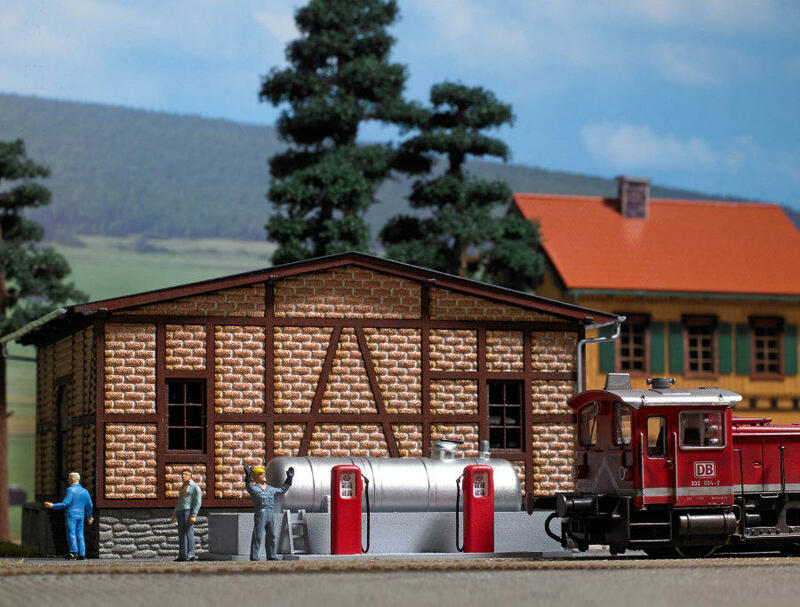 Kit of a railway depot gas station for diesel locomotives with 2 pumps in red with typical tank that's located on a concrete floor with sump. Pumps with delicate replica of hoses, nozzles and fuel loading gauge. Dimensions: 80 x 46 mm 27 mm high.